FUEL THE GAME is a new online fundraising program that provides athletes and sports teams with a fast, free and easy way to fundraise online. FUEL THE GAME is powered in partnership with Under Armour, the global leader in performance footwear, apparel and equipment, FlipGive and TeamSnap. Parents, coaches and players across North America can set up an online fundraising campaign and shop Under Armour to raise money for their teams. 20% of all purchases through FUEL THE GAME will go back to the fundraising campaign. FlipGive combines the convenience of online shopping with the best of online fundraising, making it easier for people to raise money and improve communities. Fundraisers earn up to 50% for their school, sports team, or cause by shopping with our popular retail partners. 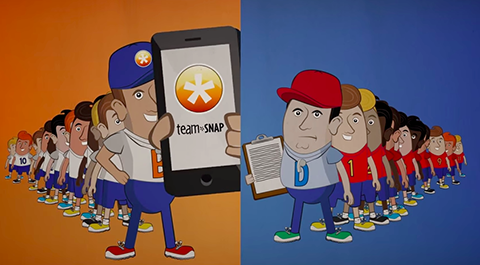 More than 7 million users around the world use TeamSnap to coordinate sports and other ongoing activities. For more information, please visit teamsnap.com.